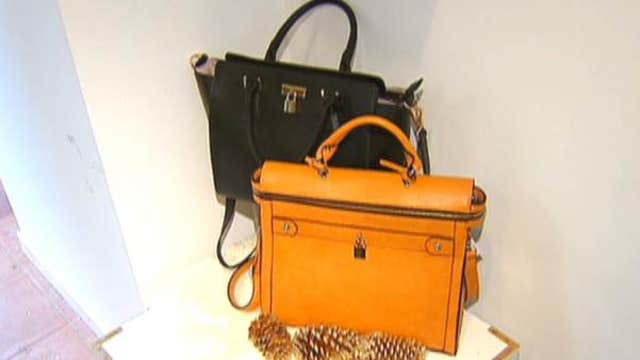 FBN’s Seana Smith with a first-hand look at Angela & Roi, a company that gives a portion of its handbag sales to charity. When you buy a bag from Angela & Roi, you’re not just walking away with a new accessory, you’re also giving back. The startup fashion company is a lifestyle brand with a philanthropic purpose. Here’s how it works; Angela & Roi donates $5 to charity for every bag sold. For example, when a customer purchases a grey product, $5 is donated to the Joslin Diabetes Center. When a black bag is purchased, money is given to the Melanoma Research Foundation. The 2-year-old fashion company currently sells 10 styles of handbags, which is double its original offer, and is expecting to triple sales compared to one year ago. “Our goal is to expand our product line and introduce fashion accessories, wallets and more styles of handbags,” Lee said. The handbags vary in price. The cheapest style is its popular Tulip cross-body, which starts at $58. The brands most expensive handbag is a Moa tote, which retails for $165. While Angela & Roi has been very successful since launch, Co-Founders Angela Lee and Roi Lee face many challenges when it comes to expanding the business. But despite some headwinds, Angela & Roi are pushing full steam ahead, with plans to expand the brand.